During Fleetwood Mac’s 2013 tour, the four members happily welcomed Christine back on the stage during their show at London’s O2 Arena, where she performed their classic “Don’t Stop” and received a wild ovation from the crowd. “It was so comfortable being back onstage with them as if no time had passed, and then we all started talking and it feels like the time is right. I’m really happy,” she commented. “As far as we’re concerned, she’s never really left. 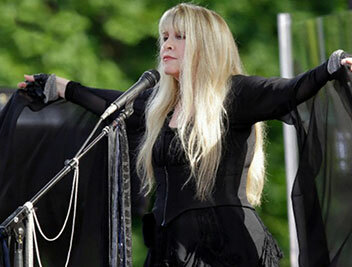 We are overjoyed to have Christine back on stage with us,” said the other members of Fleetwood Mac in a joint statement.